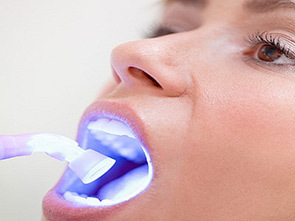 Teeth whitening is the use of whitening agents to lighten the colour of teeth. Ageing, surface stains caused by food or drink, poor oral hygiene and dental problems can cause tooth discolouration. Whitening toothpastes, whitening kits or varnishes may remove surface stains, but professional whitening products provided by dentists will give better results. The dentist will recommend the best treatment for you after consultation. Dental Care on Wondall offers two different treatments. This is carried out by the dentist following a consultation to check your medical and dental history. The Zoom! 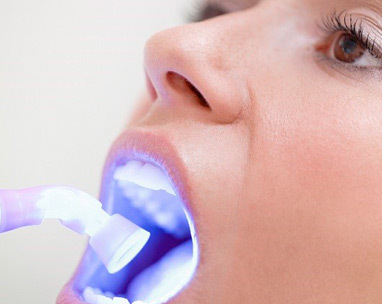 Whitening systems is a gel that is applied directly onto the teeth. The Zoom! Lamp is shone onto the teeth to activate and quicken the lightening process. 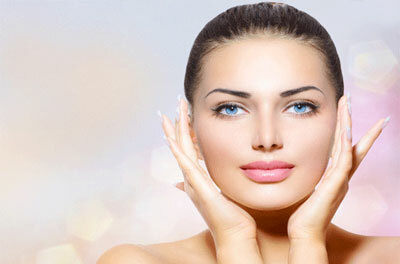 Treatment can be completed in one visit and results can be seen immediately. 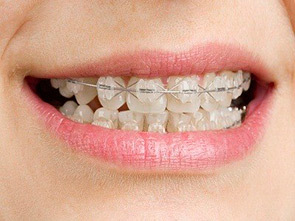 Your dentist will take an impression of your teeth so that a custom-made mouth tray can be made. You fill the tray with the provided whitening liquid, making sure to use a small amount so that the liquid covers only the teeth and does not come into contact with the gums. Using the tray every day, as directed by the dentist, will gradually lighten the teeth and good results usually occur within two weeks. The daily whitening process can be continued until you are happy with the appearance of your teeth. Your dentist will advise you on how long you should use the mouth tray each day and the duration of the overall treatment.